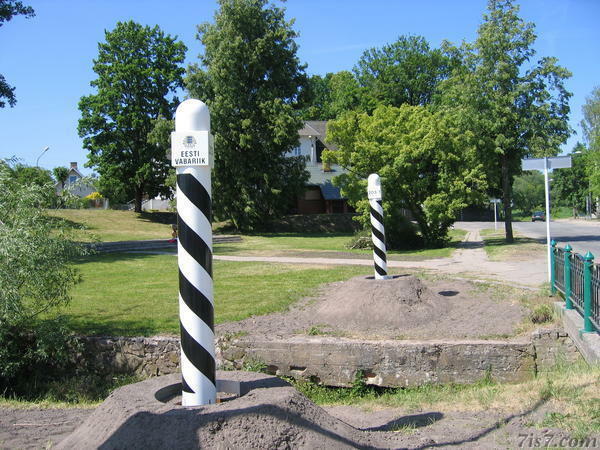 When Estonia and Latvia gained independence in 1918, the town of Walk (Valga/Valka) was situated exactly on the border of the two new states and had a mixed Latvian/Estonian population. Negotiations on the border ensued, they were chaired by Sir Tallents, the British Commissioner for Baltic provinces. When in 1920 both parties could still not reach an agreement, Sir Tallents decided to split the town along the line of the small river that runs through it. During the Soviet occupation the physical border was removed, but it was reestablished after Latvia and Estonia regained independence. 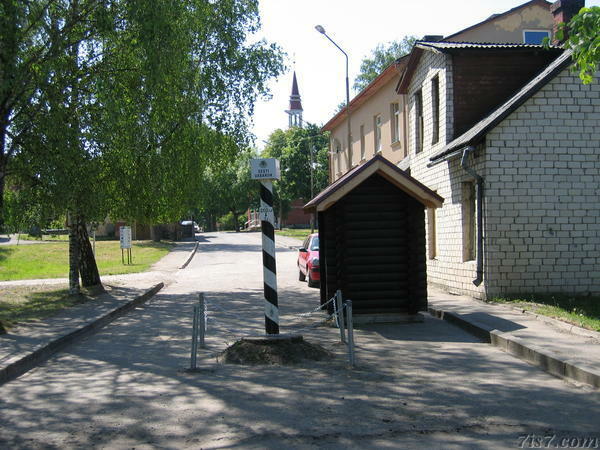 The physical border was once again removed when Latvia and Estonia both joined the Schengen area in December 2007. Now all that is left are disused border points and demarcation posts, and one can freely move between both parts of the city. Location: 57°46'41"N 26°1'37"E on: Google Maps, OpenStreetMap, Maa Amet.